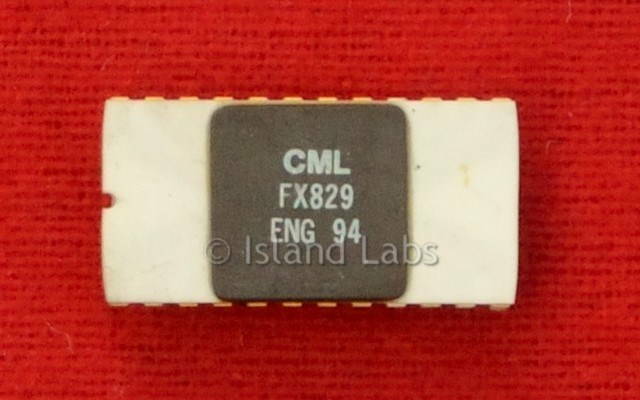 The FX829 is a low voltage CMOS integrated circuit, designed to provide the baseband audio and system signal-processing functions required for PAMR or PMR trunked radio applications. It operates in half duplex mode under serial bus control of the host µP. The FX829 incorporates a dual rate 1200/2400bps FFSK modem, with a software flexible choice of synchronisation code words, data run length and CRC checking to suit a wide range of applications. These features allow very flexible handling of non-prescribed data on traffic channels in addition to the network signalling sent on control channels. A 16 character DTMF encoder is available in the transmit mode. The two point modulation output has software programmable level adjustment. The audio processing stages include transmit and receive filtering, to the standards specified for 12.5kHz and 25kHz PAMR/PMR channel operation, plus transmit deviation limiting and a programmable RX volume control. Power saving is automatic when audio functions are deselected. The FX829 is designed for use in radios compatible with MPT1327, PAA1382, and ETS 300 086 trunking standards. Its features and flexibility ensure that it is equally suitable for use with modified or proprietary standards. White ceramic case and golden pins.